1 finger monkeys | This Blog Rules | Why go elsewhere? Finger monkeys, these tiny monkeys do exist. 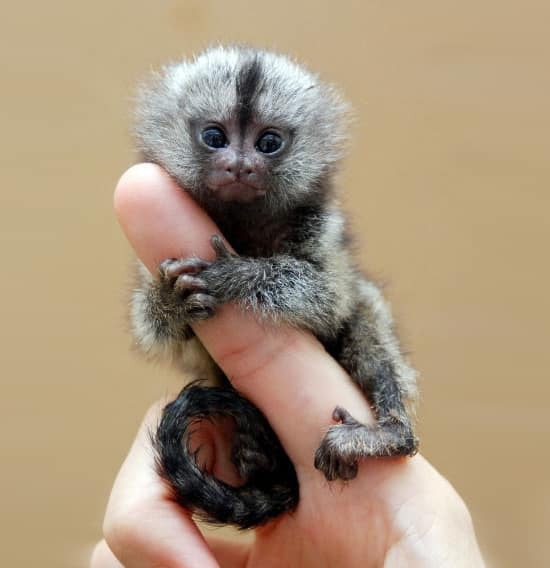 Many people have seen pictures of tiny monkeys so small that they’re able to cling onto a human’s finger. They have become increasingly popular with the rise of photo-sharing websites. This leaves many people searching for information on what type of monkey it is, where they can own one, and whether or not the images are edited. Fortunately, these ring-tailed adorable creatures do exist; here, you will find a little more information on “finger monkeys” and their origins, as well as whether or not you can own one of those furry little buddies for yourself.